Each and every vehicle requires a degree of regular maintenance to stay in working order. Regular oil changes, tire service, and brake checks are all important, but a trained mechanic will know many of the precise aspects of maintenance that will help your specific make and model perform best. To help you remember your scheduled maintenance, we walk through several of the safety and mechanical benefits here. Your engine is central to being able to drive. No engine means no traveling, so taking deliberate care of your engine is critical to keep your car running. One of the most important processes in engine maintenance is changing your oil: without clean oil to lubricate the metal parts of your engine, it is destined to overheat or grind the parts to ruin. But without functional tires, your engine would be useless. Be sure to have your tires rotated to different positions on your car to allow your tires to wear down at similar rates. Tires with a similar, safe level of tread are important for control, and to be sure you are not surprised by tires that do not respond properly to your inputs while turning and braking. There are many crucial points of maintenance to keep your car running its best. 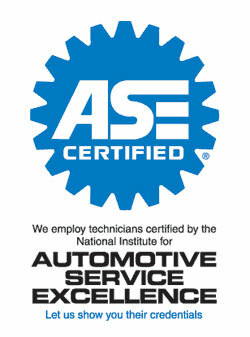 Call our ASE certified team today at 941-493-6511 for scheduled maintenance and repairs that come to you! Posted in Uncategorized on February 4, 2016 at 9:41 pm by Rolling Auto Service.